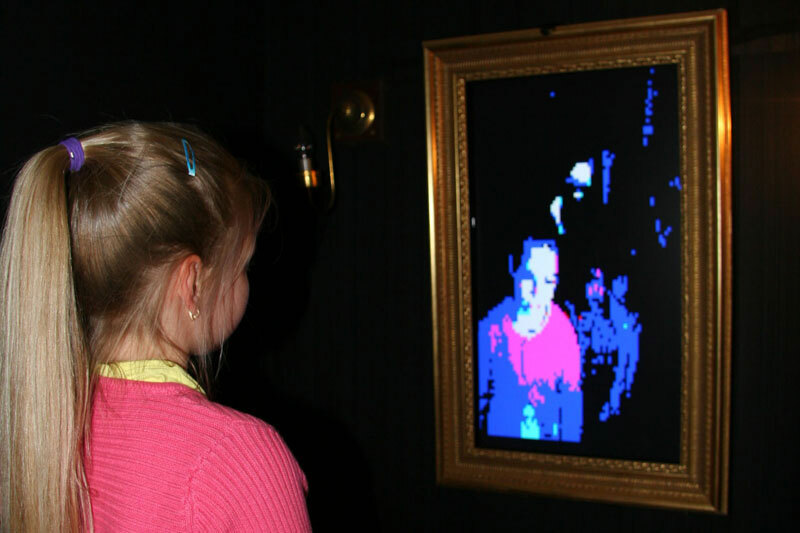 The Mirror 8-bits is an installation made-up of an LCD screen adorned with an 18th century gilded wood frame. 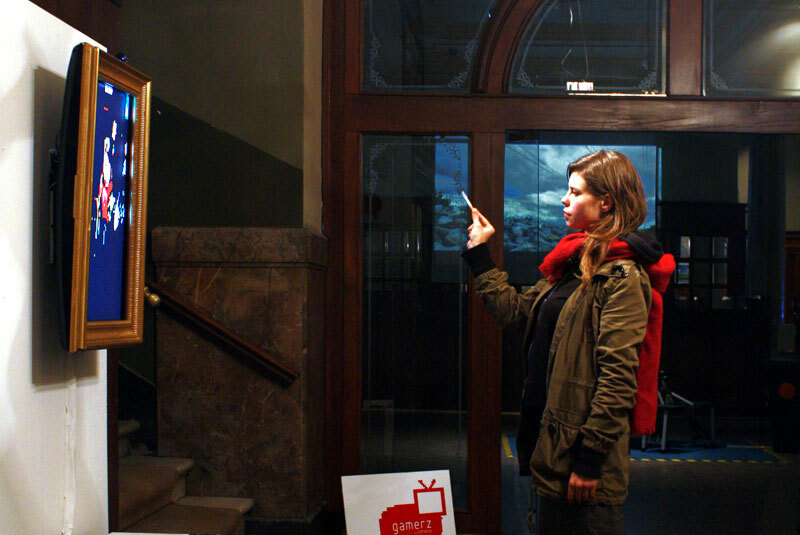 This piece functions by means of the reflective quality of the mirror, confronting classical aesthetics with contemporary technology. 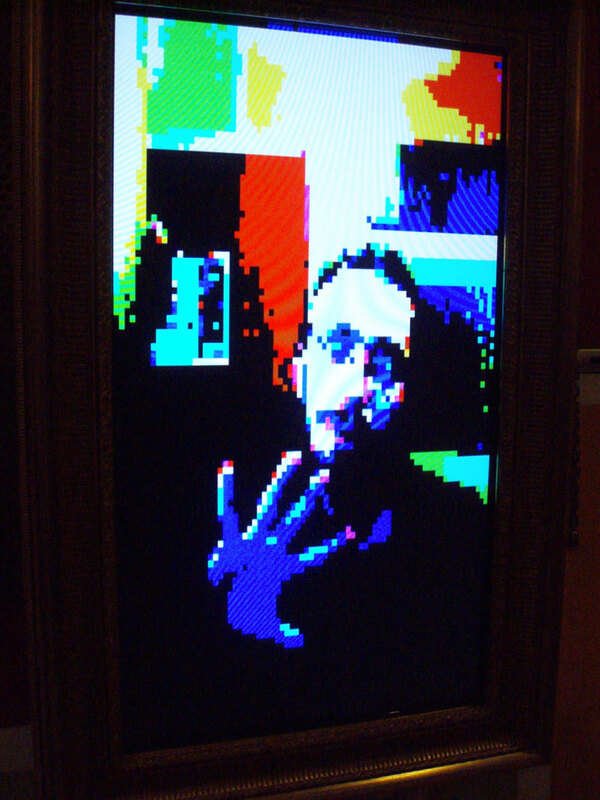 The Mirror 8-bits offers a simplified and toned down representation of reality by using the visual codes of video games from the 80’s with their bright colours and visible pixels, which are today part of a graphic design closely related to painting. This entry was posted on Tuesday, January 22nd, 2013 at 16 h 13 min and is filed under Non classé. You can follow any responses to this entry through the RSS 2.0 feed. Responses are currently closed, but you can trackback from your own site.